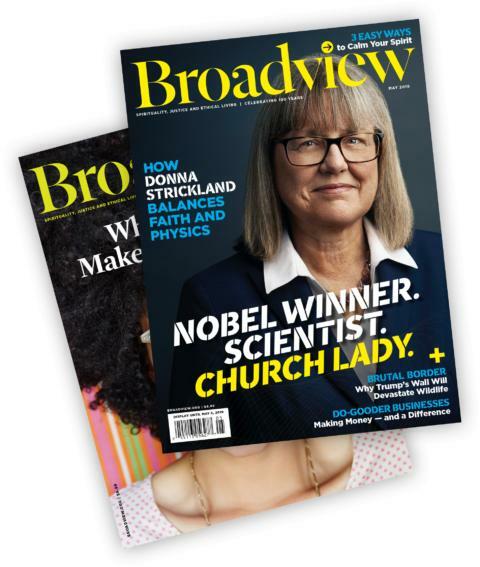 Broadview provides inspiration and hope for today’s world. Award-winning journalism. Celebrating 190 years of publishing. Subscribe! I read your magazine cover to cover. No other magazine I know covers topical social and justice issues and challenges me to consider the moral issues, and then act. You are so special! Thanks for reminding people that faith and ethics are best served by thought, empathy, curiosity and research. Thank you for such wonderful magazine. Six generations of our family have read it in its different forms over more than 100 years! We always look forward to its arrival.